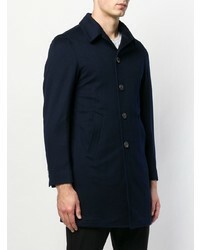 For a look that's totally camera-worthy, rock a 0909 Single Breasted Coat from farfetch.com with navy dress pants. 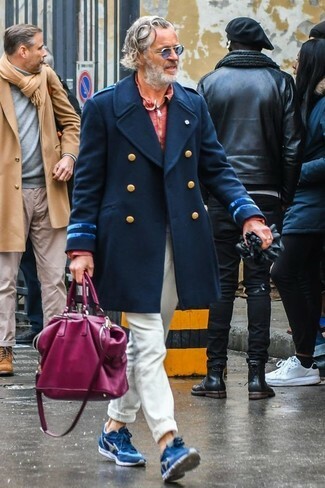 And if you wish to instantly dial down this outfit with a pair of shoes, throw in a pair of black leather derby shoes. 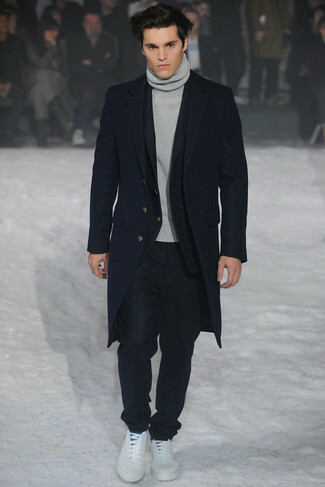 A 0909 Single Breasted Coat looks especially refined when matched with charcoal wool dress pants in a modern man's combination. Finishing off with brown suede desert boots is a simple way to inject a sense of stylish effortlessness into your look. A 0909 navy overcoat and beige chinos are absolute wardrobe heroes if you're crafting a classic and casual wardrobe that holds to the highest sartorial standards. Why not add blue suede athletic shoes to this ensemble for an air of stylish casualness? 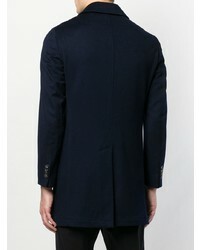 Wear a 0909 Single Breasted Coat from farfetch.com with black dress pants to look like a perfect gentleman at all times. For a more casual twist, add black leather derby shoes to the mix. 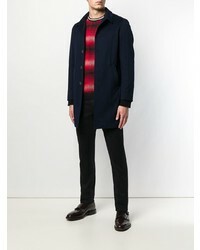 Marrying a 0909 Single Breasted Coat from farfetch.com with a black suit is an on-point option for a smart and polished outfit. If you want to effortlesslly tone down this ensemble with shoes, why not complete your getup with white low top sneakers? 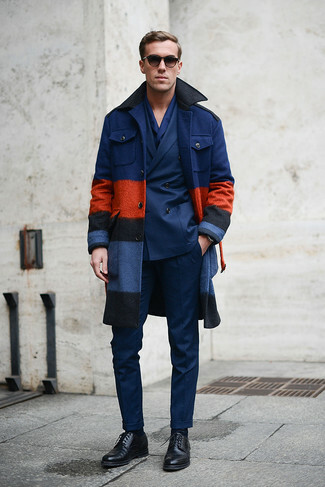 Make a 0909 navy overcoat and navy jeans your outfit choice and you'll create a sleek and refined ensemble. 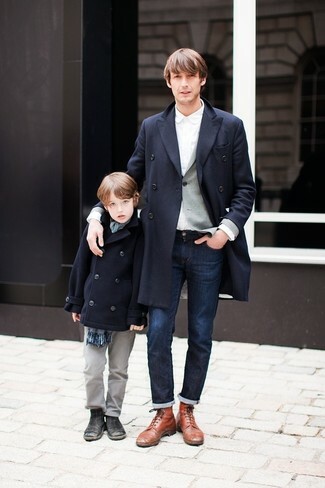 Pair a 0909 Single Breasted Coat with blue jeans for a neat elegant look. Brown leather casual boots tie the outfit together. 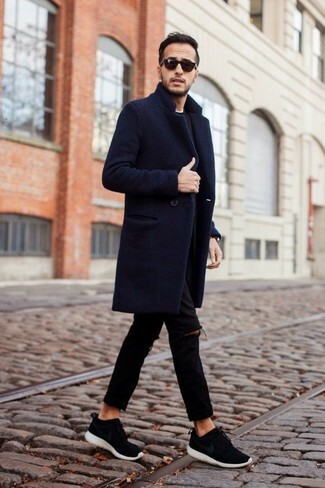 A 0909 Single Breasted Coat and black ripped jeans make for the perfect foundation for an endless number of dapper outfits. If you wish to instantly dial down your look with one piece, why not complement this ensemble with a pair of black athletic shoes? 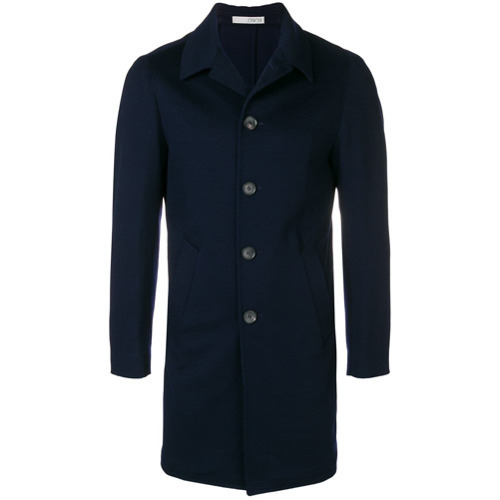 Team a 0909 Single Breasted Coat from farfetch.com with navy jeans and you'll put together a proper and sophisticated ensemble. Brown leather casual boots integrate brilliantly within a myriad of combos.